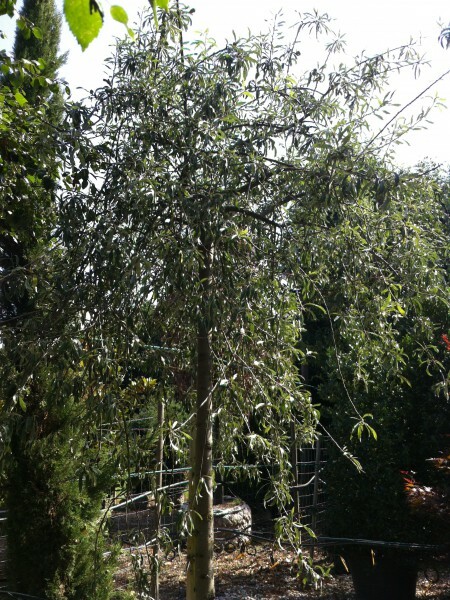 As expected with a Pendula, this elegant tree has arched branches, which – with age – weep downwards. In spring the tree produces large, creamy-white flowers that look stunning with its foliage, which have a grey-silver tone on the underneath of the graceful, narrow leaves. The branches also have a silvery shimmer, which looks particularly beautiful in winter when they can be appreciated fully. The popular Willow Leaved Pear matures to have a rounded, broad crown. The RHS has given this tree an Award of Merit.